One evening in April 2010, Kamran Uzzaman, a 20-year-old patient on Roman Ward, a mental health facility run by East London Foundation Trust (ELFT), slipped into the room occupied by Prodib Debnath and killed the 31-year-old expectant father by stamping on his head. At his trial in May 2011, one psychiatrist described Uzzaman as “one of the most mentally unwell patients I’ve ever seen”. The killing of one mental health patient by another is fantastically rare – on average it happens once every 17 years in England. But within a year Roman Ward had seen another patient commit suicide with a plastic bag and a third die unexpectedly from natural causes. These three tragic deaths sparked a remarkable improvement drive founded on boosting the engagement and wellbeing of the trust’s staff. East London in 2010 was no Mid-Staffs. It was meeting its national targets and was rated around the middle of the pack for London mental health trusts. But a closer look uncovered multiple problems on Roman Ward: key posts left vacant, high sickness absence rates and abnormally few incidents, suggesting problems were not being reported through the formal channels. In the last five years, ELFT has become a leading exponent of using staff engagement to improve quality, job satisfaction and patient safety. In 2014, it came top among mental health trusts for staff engagement and was named by the HSJ as one of the ten best places to work in the NHS. Last year, it picked up the HSJ Award for staff engagement, sponsored by MiP and Unison. “I can see that when staff are well supported and given the chance to develop it leads to better engagement between staff and service users,” says one patient who has worked on developing the trust’s Quality Improvement programme. The roll-call of initiatives is familiar: a culture of ‘listening and learning’ from staff; reducing the gap between ward and board with executive ‘walkabouts’; continuous improvement through teamwork; development schemes for people in all disciplines; coaching and mentoring from inside and outside the trust; and investing in communications technology to encourage open, honest feedback. But a list of initiatives is one thing, delivering sustained and tangible improvement is another. The 2015 NHS staff survey found that almost half the people working for the NHS don’t feel valued by their organisation and wouldn’t recommend it as a place to work. Effective staff engagement is hard. If it wasn’t, everyone would be doing it. “Leaders need to ensure trust, fairness and inclusiveness throughout the organisation,” explains Michael West, professor of organisational psychology at Lancaster University, who has worked with ELFT. For leaders personally, this boils down to “listening with fascination to staff, understanding their work challenges, being empathic and taking intelligent action to help them,” he says. One area of “variation” is discrimination. “ELFT have made great progress, but a stronger focus on workplace trust, fairness and justice – dealing particularly with high levels of reported discrimination against BME staff – is needed,” says West. “It’s something we’re still trying to understand,” adds Fitzgerald. 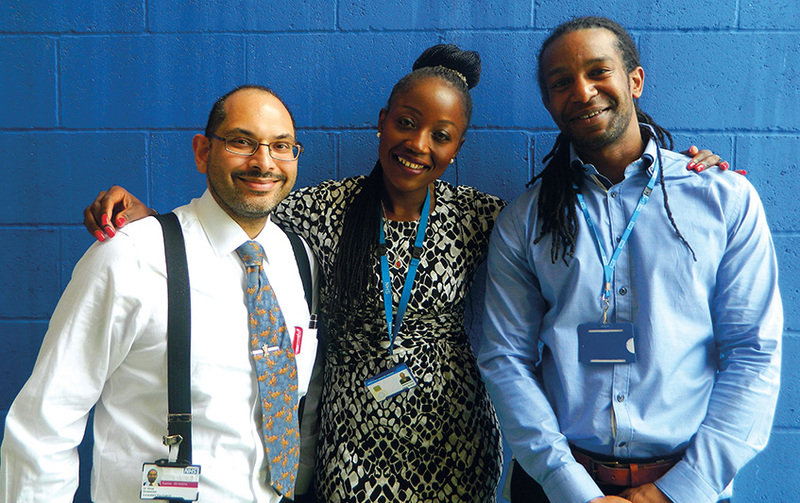 Tackling violence and aggression towards staff has reduced discrimination from patients. “But with discrimination from managers and colleagues, we’ve not made so much progress,” he admits. He refers to a young black nurse who recently reported being racially abused by a patient. “He didn’t feel that his team and management supported him as we should’ve done. So he felt discriminated against by the organisation as well,” Fitzgerald explains. Nevertheless, Fitzgerald sees the strong tradition of partnership working with unions at the trust as a big asset. “We have our arguments but it’s fantastic the work that’s done in that working environment,” he says. When 100 staff were threatened by redundancy last year, managers worked with unions to redeploy almost all of them. “To have done all that and still have these [staff engagement] scores is a testament to staff side and how they support their members, and how they tell us when we’re going wrong,” says Fitzgerald. There are few tougher briefs than running mental health services in East London, with its complex patchwork of ethnic communities, widespread deprivation, mobile population and fierce competition for resources. But ELFT is one of the NHS’s everyday success stories, a vital but unglamorous service which has been turned around by the efforts of its staff and management – not because it got a kicking from the CQC. There are also lessons for how the NHS can learn from its failures. After the tragedies in 2010 and 2011, there was no clear-out of the board and no witch-hunt looking for people to blame – just hard, painstaking work to make the trust a better place to work and to care for patients.